The case of Nyayat village, as told in a new Indonesian-language publication by Indonesian NGO, PENA. Summary translation by DTE. 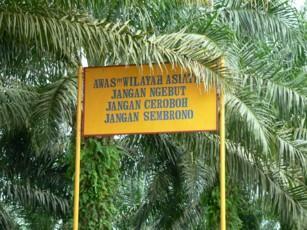 Nyayat is a hamlet in Sambas district, West Kalimantan, of only 200 Dayak Bekati. To outside eyes, it looks much like any other small village in the province. Most of its inhabitants farm the land traditionally and tap native rubber. The striking difference is that these villagers have refused to accept oil palm plantations on their land.